Palestinian Football Association chief urges Barcelona star Lionel Messi not to participate in Argentina-Israel friendly in Jerusalem. Palestinian Football Association chief Jibril Rajoub on Sunday called on Barcelona star Lionel Messi not to play in an Argentina-Israel game in Jerusalem, urging fans to burn their shirts if he does, AFP reported. 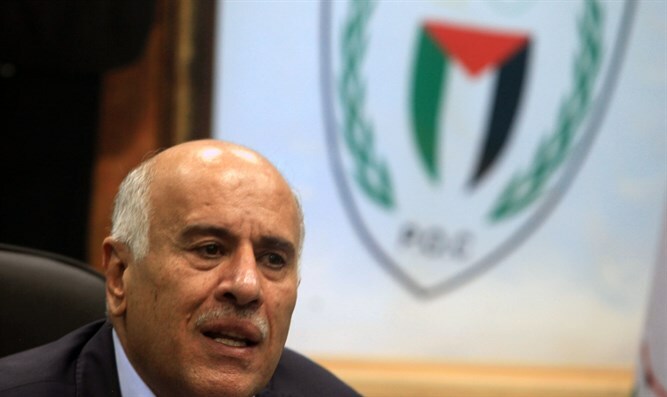 Rajoub, along with several anti-Israel organizations, has long attempted to force soccer governing body FIFA to ban six Israeli teams based in Judea and Samaria. He claims that their presence there is in breach of FIFA statutes, which forbids another member association playing on another territory without permission. Contacted by AFP following Rajoub’s comments, Israel’s sports ministry had no immediate response and the Israel Football Association spokesperson could not be reached.